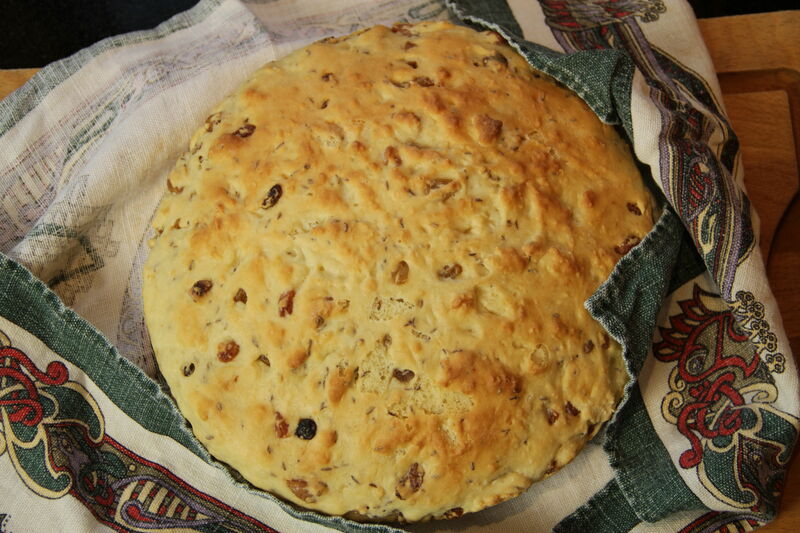 My mother-in-law, Jeannie, obtained this traditional Irish scone recipe from Mrs. O’Callaghan herself in 1961. Jeannie began baking Mrs. O’Callaghan’s delicious scones as a young newlywed, and has continued to do so for the past 50 years! My husband and his siblings still clamor for them whenever they visit their mother. Who was Mrs. O’Callaghan? She was my mother-in-law’s sister-in-law’s mother-in-law. Funny, I know, but true. 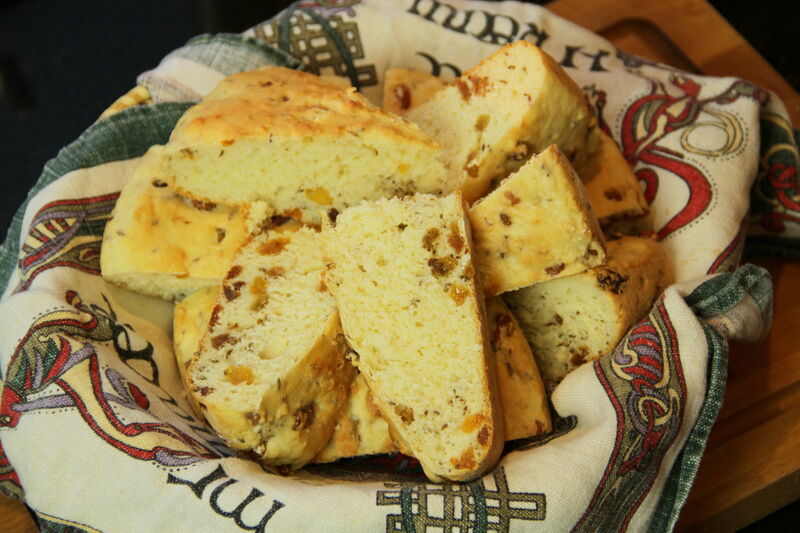 Jeannie has modified Mrs. O’Callaghan’s recipe slightly over the years – she adds 1 tablespoon of caraway seeds instead of the original teaspoon, bakes the scones in round cake pans instead of an old-fashioned cast iron frying pan, and skips the buttermilk brushed on top after baking. I decided to keep Jeannie’s extra caraway seeds, use Mrs. O’Callaghan’s frying pan, and add my own twist of golden raisins. 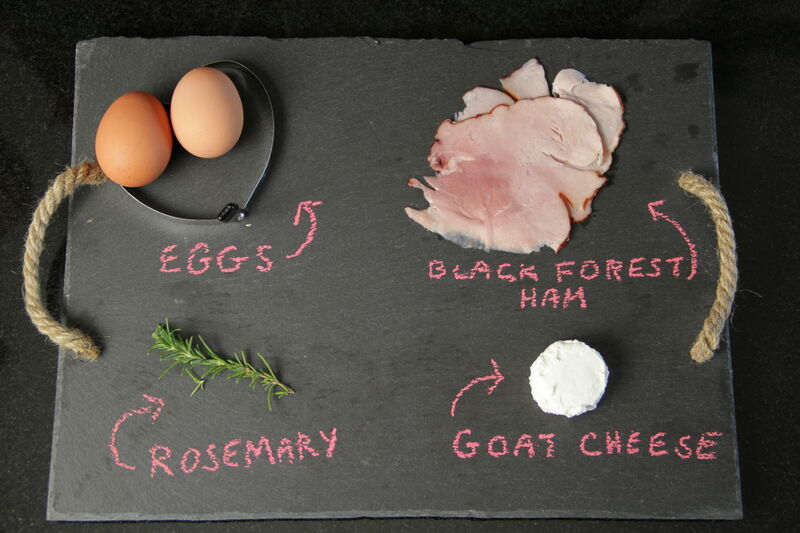 Even with variations, this is a remarkably easy and wonderful recipe. It takes only minutes to mix up the butterless batter, and the long baking time is made easier by the heavenly, wafting aroma that emanates from the kitchen. The scones rise high in the oven, and finish with a consistency light and even, and a flavor balanced by sweet raisins and savory caraway. While I never had the good fortune to meet Mrs. O’Callaghan, I recently came to know some of her grandchildren. They too have slightly modified their Nan’s recipe over the years, but all still continue to bake, infusing their homes with delightful aromas and making wonderful memories for the next generation. A breakfast in bed to remember. Preheat oven to 350°. In large bowl, mix together flour, sugar, baking powder and salt. Stir baking soda into buttermilk. Pour buttermilk mixture and lightly beaten egg into dry ingredients and mix just to combine. Batter should be thick but spreadable. 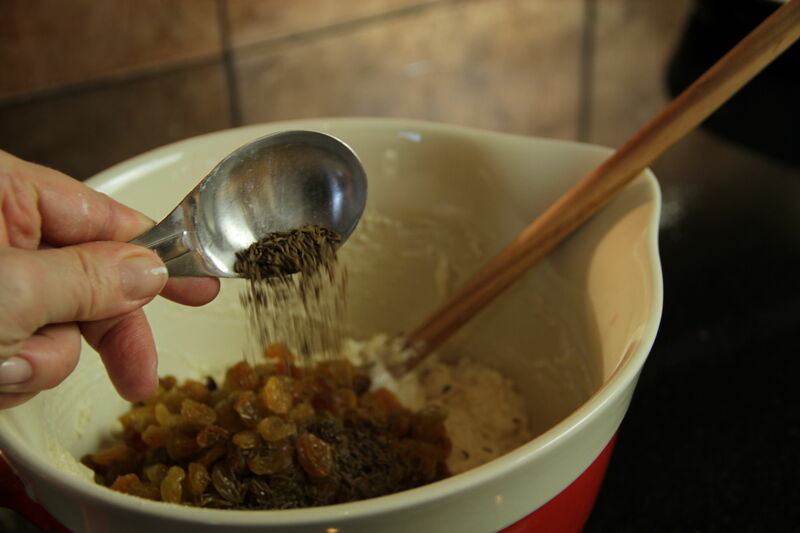 Stir in raisins and caraway seeds. Grease and flour a 10-inch cast iron frying pan. Spread batter evenly in pan. Place in oven and bake until scones are nicely browned and a toothpick inserted in top comes out clean, about 50 to 60 minutes. Alternatively, grease and flour two round 8-inch cake pans. 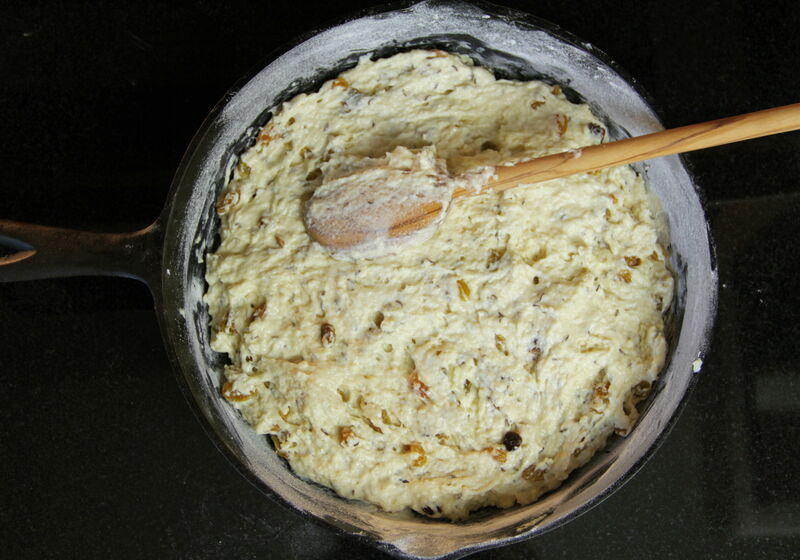 Divide batter evenly between the two pans and reduce baking time to about 45 minutes. Remove scone from pan and brush top with a little buttermilk, if you like. Wrap immediately in a tea towel so scones remain warm and soft. When ready to serve, cut scone in wedges. Serve warm with good Irish butter. Now that my boy is such a voracious independent reader, we don’t sit and read as many picture books as we used to. Maybe that’s a shortcoming as a father. I know that some day he will just not want me to read to him again. And that will be that. Be that as it may, I wouldn’t want to have to choose between never reading to him again or reading him books from the “Arthur” series ad infinitum. There is nothing wrong with Arthur per se. He’s a nice bespectacled weasel, or aardvark, or whatever he is. Naturally, lots of low-hanging lessons to be gleaned throughout the series. Perfect for adaptation to the PBS screen for kids. Anyways, we were away for my birthday weekend staying at the coast with friends. My boy found a box full of picture books. As it was already past bedtime, he naturally chose the longest book he could find for me to read. 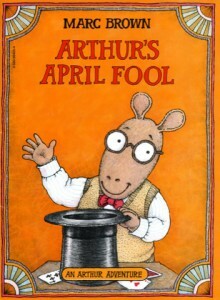 As is happens, it was Arthur’s April Fool. I’ve never known him to read anything from this series, but that’s fine. He cozied up to me (another thing he’ll never do again, some day) and we read about the trials and tribulations of everyone’s favorite capybara. I don’t remember the plot much. Some bully picked on Arthur. Arthur pulled some pretty harmless practical joke on him, the ol’ kaleidoscope-gives-you-a-black-eye gag. I’m not sure what the message was for this particular installment. Revenge is a dish best served cold? If you are looking for some decidedly wholesome and lesson-teaching picture books, these are a good choice. There are about 100 of them and they have a TV show to complement the series. Good for kids that aren’t my son’s age, probably 4. Now that cold weather has arrived, it’s time to bundle up in the bedroom. Choosing the appropriate topper will keep you warm on the chilliest nights. Depending on where you live and your preferred bedroom temperature, consider one of these four bedding options to keep you toasty this winter. The ultimate in warmth, a down comforter will keep you snug and comfy on the coldest nights. Know that it’s best to use a duvet cover to protect the outside of the comforter. Duvets are available in many fabric types and patterns. You can also have a custom cover made with designer fabric. Most often constructed of matelassé, a coverlet is light to medium in weight and one of the most practical of bed coverings. Sometimes filled with a light batting, coverlets may not be warm enough in a chilly house, so consider adding another layer: perhaps a down comforter on top or a warm blanket underneath. Pre-filled bed coverings fall under this category. Practical from the standpoint of layering since bedspreads are available in different weights, this type of bed topper could be a good solution if you like the layered look. 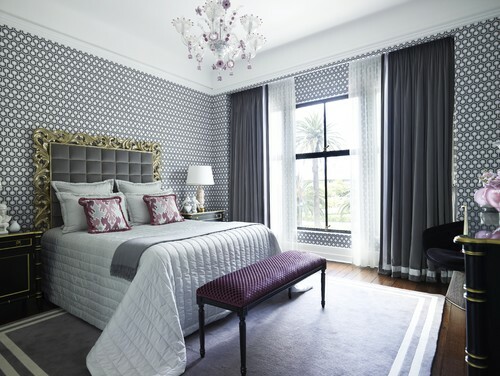 Also a good idea if you have a range of temperatures, a bedspread offers many design options too, since you can style your layers differently each season. 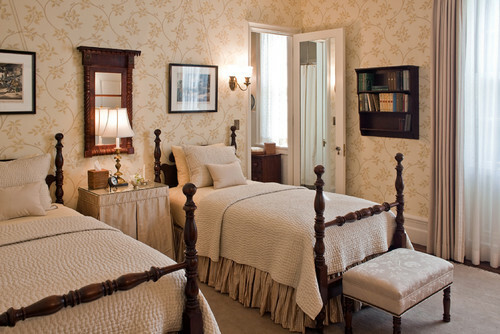 Believe it or not, quilts can successfully be used in a traditional room or a modern one. With a woven (usually cotton) top with at least two colors and sometimes several, expect a layer of batting and a woven back. Quilts are not as heavy as a down comforter, but often heavier than a coverlet. It’s fairly common to use different types of bed coverings on one bed. There are no rules. Try combining a coverlet with a down comforter at the foot of the bed or with a coordinating quilt folded halfway down the bed. Add an extra blanket and coordinating shams or throw pillows, and your bed will be look and feel pleasant for the winter months. Through a perfectly advantageous alignment of the stars (or perhaps the contents of my pantry), and the great generosity of my sweet niece Rebecca, I’ve come up with a New Year’s Day breakfast to start the year off right. Use a heart-shaped ring for cooking if you have one. Make this dish for a loved one. Start the new year off with a great and generous breakfast in bed. I wish you a very Happy New Year in which the stars are perfectly aligned! 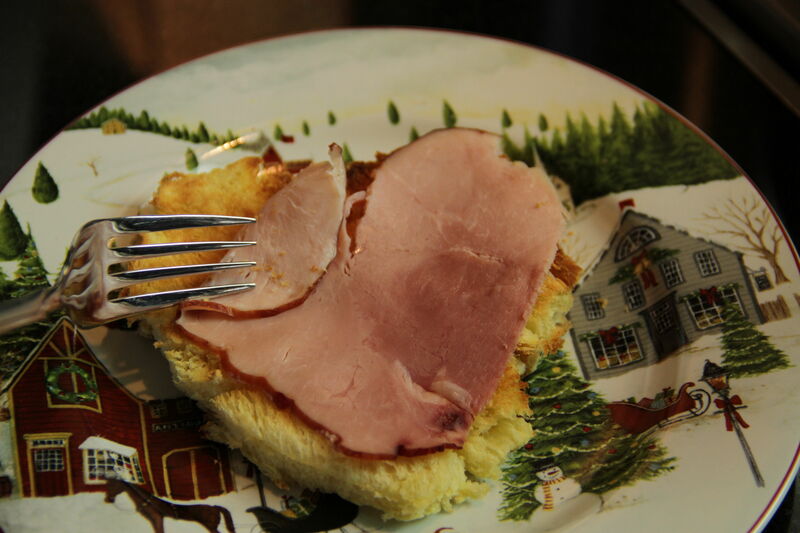 Use the heart-shaped egg ring to cut out two hearts from the bread and ham slices. Set aside while cooking eggs. Heat a heavy frying pan over low heat. Add butter, continuing to heat until butter is melted. 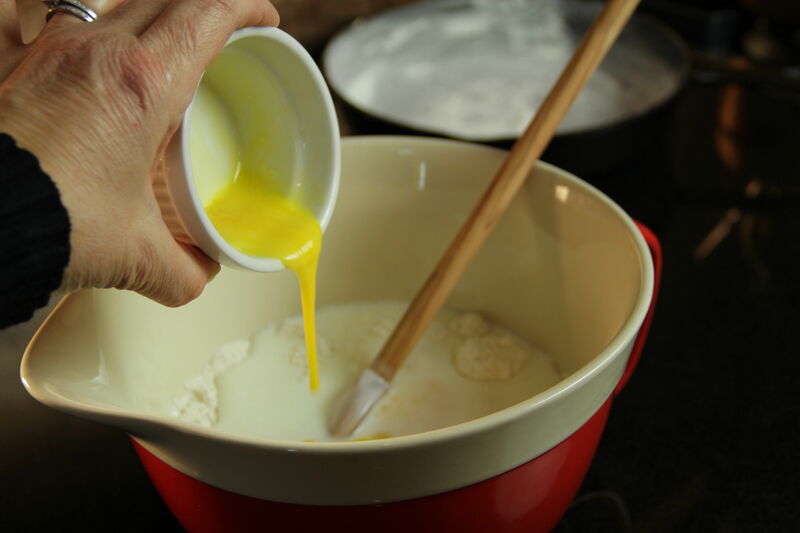 Crack eggs into a small bowl and whisk until thick and yellow. Add goat cheese, mixing together with a fork. The mixture does not need to be perfectly smooth as cheese will melt during cooking. 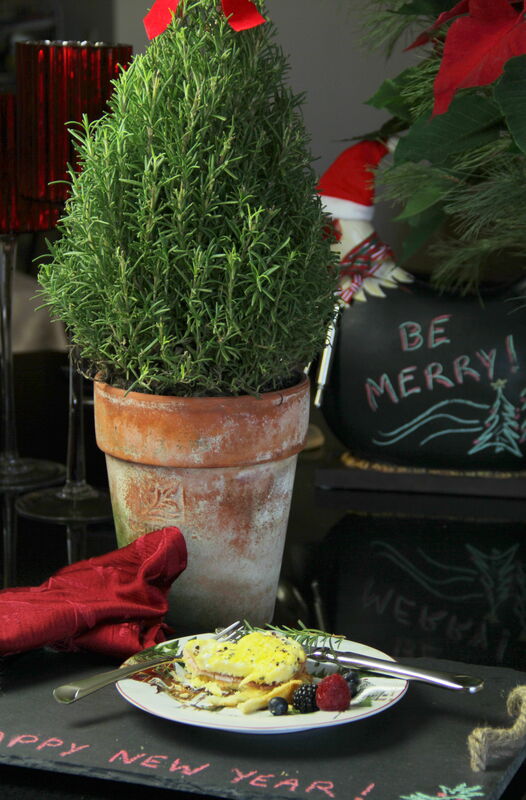 Stir in chopped rosemary and season with salt and pepper. 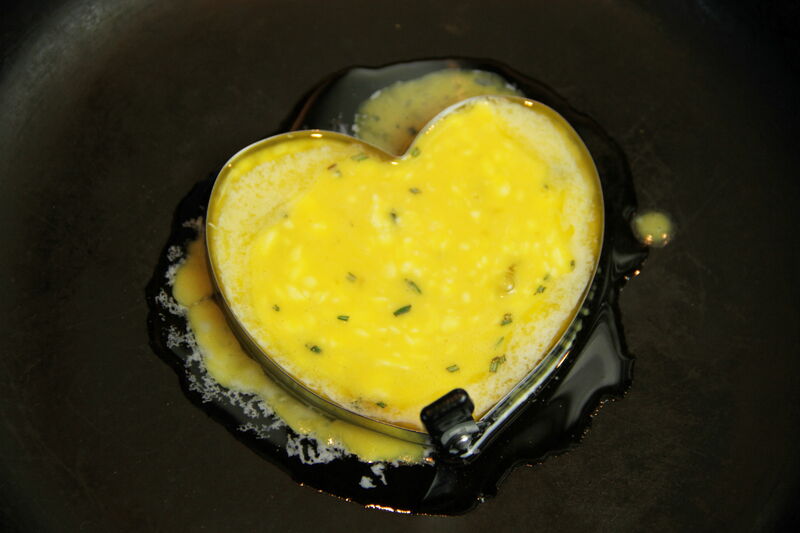 Place two heart-shaped rings in the frying pan, then carefully pour half of the egg mixture into each ring. Cover, and continue to cook over low heat until eggs are set and lightly crisped on the bottom, about 10 minutes. Alternatively, you can cook the eggs in the oven at 350° for about the same amount of time. While eggs are cooking, toast bread. 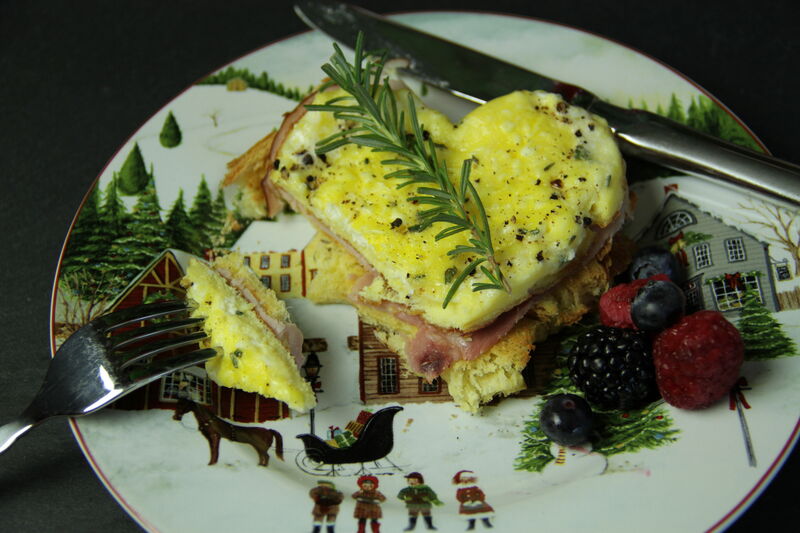 Place toasted hearts on a warmed plate, then top each with a slice of ham and one egg heart. Serve immediately. NOTE: You can find heart-shaped egg rings in local kitchen specialty stores, or on many popular websites, such as Amazon.com. You can also make this recipe without the rings, cooking the eggs in two smaller pans and placing on top of regular toast. Mars has always held a certain fascination for me. Clearly, its proximity to our own planet (Earth) makes it some low-hanging fruit for the imagination. All the fun (if at times make-believe) hints at life: faces; ice caps; weird lights and shadows just add to its allure. Remember when bunch of Martian movies came out? Red Planet and Ghosts of Mars and, several years prior, good ol’ Total Recall. Well you can add another work to the pile of Red Planet-themed pieces. 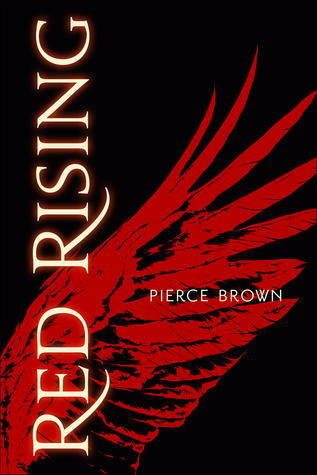 Red Rising is the first novel by American novelist Pierce Brown. Like every other book being written, it is part of a trilogy. This one tells the story of Darrow, helldiver of Lykos. He is part of a huge colony living beneath the planet Mars toiling to terraform the planet and make it livable for future generations. Violently oppressed but lauded as heroes for the future of humanity, Darrow’s world is blown open when it is revealed to him that Mars has been habitable for ages and the Reds (the class of people laboring beneath the planet) have been lied to and used for the resources they mine. Darrow is enlisted to help lead the fight against the Golds, the elite who rule over them. The second volume comes out next week so now is a good time to pick up the first book if you are into exciting, dystopian sci-fi. So far it’s interesting and I hope that the series doesn’t turn out to be predictable. I’ll soon find out!